Today’s hurricanes, earthquake demonstrate that while catastrophic events occur independently of each other, they can and occasionally will, strike concurrently. The aggregation of events in the Atlantic basin this hurricane season – plus the Pacific typhoons and 2 strong earthquakes in Mexico this month – is providing insureds, insurers and reinsurers with exactly that scenario. This afternoon, while Hurricane Maria is approaching Puerto Rico as a major hurricane and Hurricane Jose continues to move north-east off the US east coast, a powerful M 7.1 earthquake has struck south of Mexico City, in a grim reminder of the M 8.1 event that occurred on this date in 1985 and devastated Mexico City. 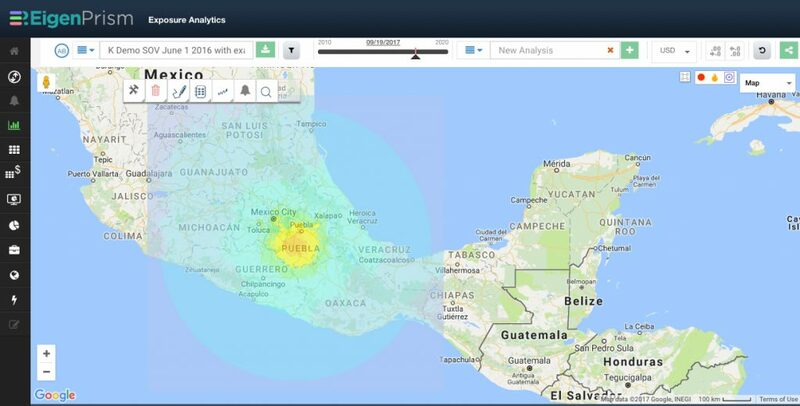 This earthquake is the second powerful tremblor to hit Mexico this month, following the M 8.1 quake on September 8. Much of Mexico City is built on former lake bed, and the soil is known to amplify the effects of earthquakes even hundreds of miles away. 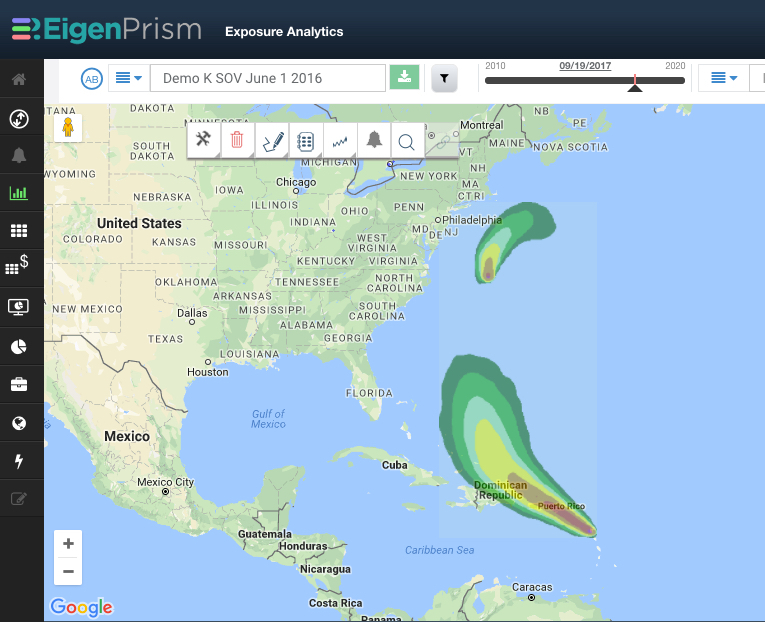 In EigenPrism, subscribers can use the real-time Wind Probabilities for Hurricane Force Winds (>64kt) event set to assess the locations most likely to be impacted by hurricane force winds during Hurricane Maria. Depending on your user profile, you may not have access to all the events mentioned above; if you have questions or need help setting up your alerts, please contact EigenPrism Support or call us at +1-888-678-RISK.